This poster gives a general overview of each of The Basics while also explaining why they matter. It is best used to be hung in a waiting area or front desk. 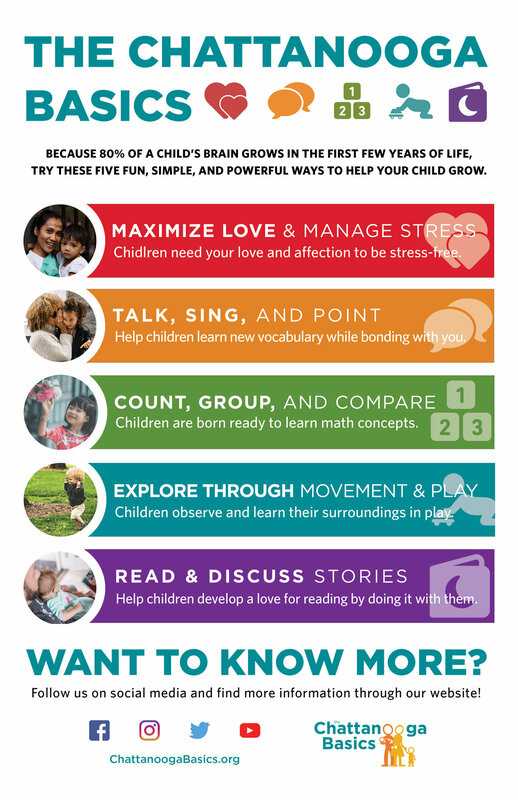 As a bookmark, it is great to give to parents, caregivers, and educators alike! The front lists each of The Basics, while the back encourages users to write out how they can best use each of The Basics. This activity card has The Basics listed on the front and examples of what to do for each of The Basics on the back. 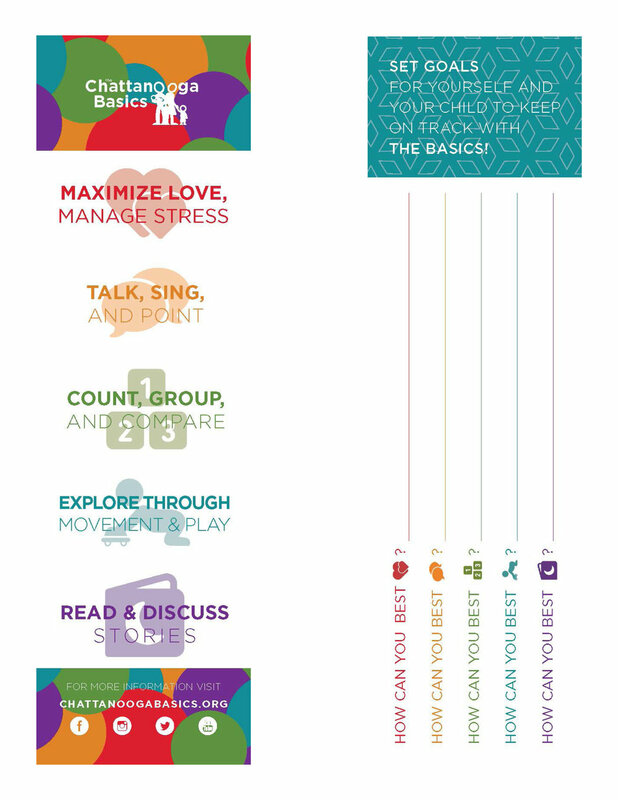 It’s a great tool to give to parents and caregivers in order to explain The Basics and encourage them to use each of The Basics. This is a great tool to use during presentations and events. It includes examples of easy activities for each of The Basics and the science behind each of them. Once a parent, caregiver, or professional is familiar with The Basics, it’s time to take action. That’s what the ABC Plan is for! Not only will it encourage them to take an action, it also lays out the benefits and challenges of that action. There is an online form here as well. Introduce colleagues or families to the Basics with this one-page overview. The handout includes a brief introduction to the Basics campaign and five Basics principles. Share caregiving tips and ideas. Find one tip sheet for each of the five Basics. Disseminate broadly in hard copy and electronically. 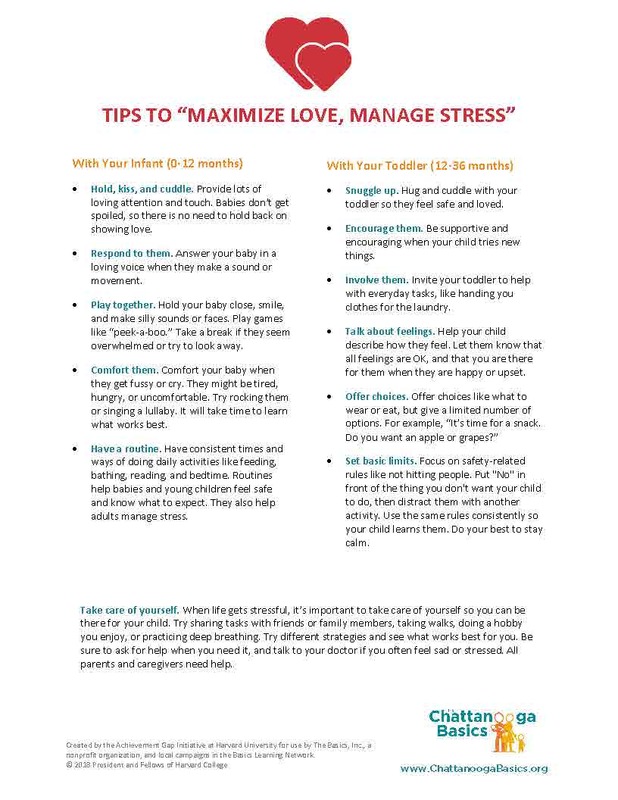 Tips can be used with providers and families to spark discussions and practice during trainings or meetings. Send them home to reinforce concepts covered. Share the vision of the Basics movement. 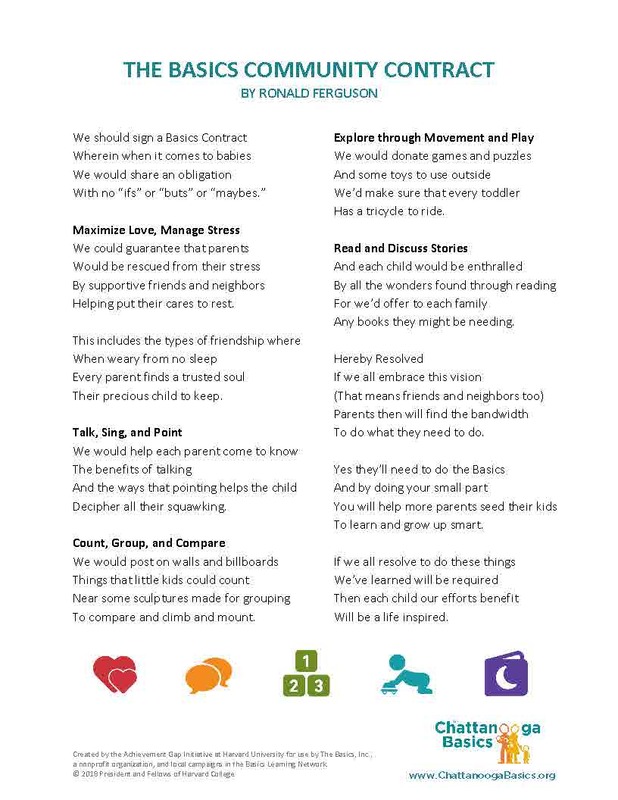 This poem describes how an entire community can come together to support families with young children. Addresses all five Basics. Inspire commitments from new parents and caregivers with this poem from the perspective of a fellow caregiver. The poem's narrator recites a set of promises to their new baby, linked to each of the five Basics.